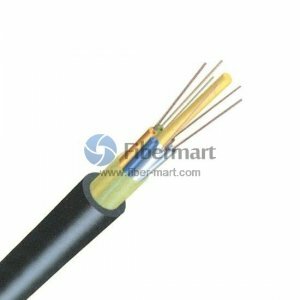 GYFTY fiber optic cable is a non-metallic cable used for power transmission system, excessive thunder areas and high electromagnetic interface. Its mainly application is for aerial or duct use. The cable tubes, which are filled with filling compound, are stranded around the strength member. Then the aramid yarn is applied over water proof material, the cable is completed with a PE sheath. Fiber-Mart provides GYFTY from 4 fiber cores to 24 fiber cores. Both single mode type and multimode types are available. We also provide Customized Service such as fiber number, fiber color and cable length, etc.